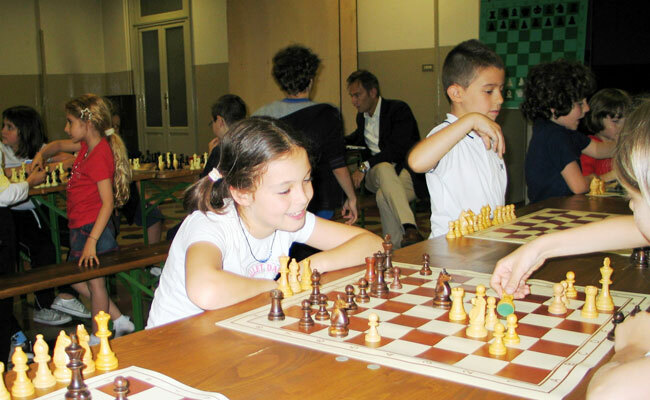 The sporting-education project “Chess in School” is sponsored by the Italian Chess Federation (FSI), by Regione Lombardia, by Provincia di Milano, by the Provincial Scholastic Office of Milan, and by the Comune di Milano, and it is dedicated to primary and secondary schools. Why chess as an educational means for school? Academic research is noting an increase in attentional deficits and difficulty concentrating in young people. More things are being done, and they are being done in a rush. Thinking before acting, a fundamental necessity of chess, is becoming increasingly unusual in this context. Chess, the ultimate sport of the mind, is a game, a science, an art and a universal language that can bring together generations. It is also so much more than just that. Chess helps the correct development of cognitive and meta-cognitive functions, and as a game it helps the development flow in a dynamic and natural way, making it a sporting activity in which students can express their aggressiveness within an established set of rules and limits. Furthermore, chess stimulates social integration with its social dimension. 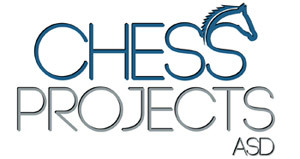 Due to these factors, introducing a chess-based project in schools could help decrease instances of bullying and discomfort; without being the only solution to these phenomena. Chess can also be seen as a means of rehabilitation for children with learning difficulties, as it provides the chance to exercise executive function (Miletto, Pompa, Fucci, and Morrone, 2005), more than other games.